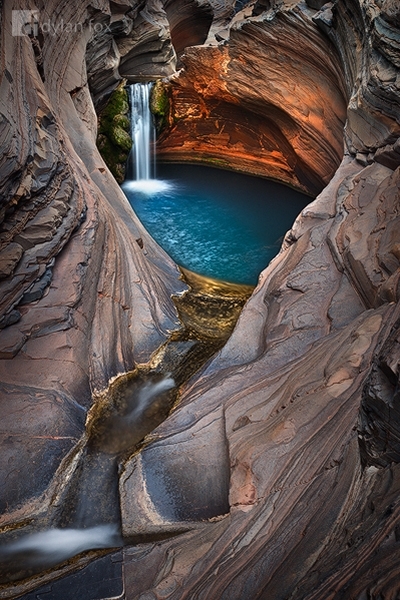 This photograph is of the famous 'Spa Pool' in the stunning Hammersley Gorge of Karijini National Park. The park is located in the Pilbara region of Western Australia and is absolutely stunning. Karijini is filled with stunning scenery and is a must visit location. The rock formations throughout the park are some of the oldest on Earth and are really special. This particular scene is pretty easy to get to although the park is filled with harder hikes with plenty of climbing deep into stunning gorges and swimming through beautiful natural pools. Secure your limited edition, Spa Pool photographic print, 'Diamond In The Rough', by selecting your desired print size in the menu to the right.